New indicators released by the Brazilian statistics agency IBGE on Thursday showed signs of a recovery for the Brazilian economy. Brazilian retail sales rose more than expected in July, the strongest monthly rise since January 2012. Sales volumes in Brazil rose 1.9 per cent in July from June. 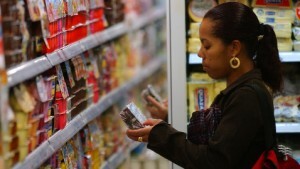 Food prices in Brazil went down in July aiding the sales volumes. Retail sales jumped 6.0 per cent from a year earlier, the IBGE added. Textiles, clothing and shoe sales rose 5.4 per cent in July while supermarket sales saw a rise of 1.5 per cent, the Brazilian agency said. Inflation had slowed in August to 6.09 per cent, the lowest level of 2013, which also aided the positive sales figures of July. The new data “prove consumption is recovering in the country, and shows the fall in inflation is giving the consumer more purchasing power,” asserted Brazilian Finance Minister Guido Mantega on Thursday. The Brazilian real has plummeted nearly 13 per cent over the past three months over concerns about the US Federal Reserve’s quantitative easing policy. Data from IBGE in early September revealed the Latin America’s biggest economy grew 3.3 per cent year-on-year in the second quarter of 2013. “The reduction of inflation and the resumption of growth, all this is beginning to dissipate the grey clouds that had gathered over our country,” Mantega had said in Sao Paolo.